This is the page for the Bethel FD. They have 2 engines, 1 tower ladder, 1 rescue, 1 tanker, 2 ambulances, and 1 station. I have pictures of everything except the 2 ambulances. 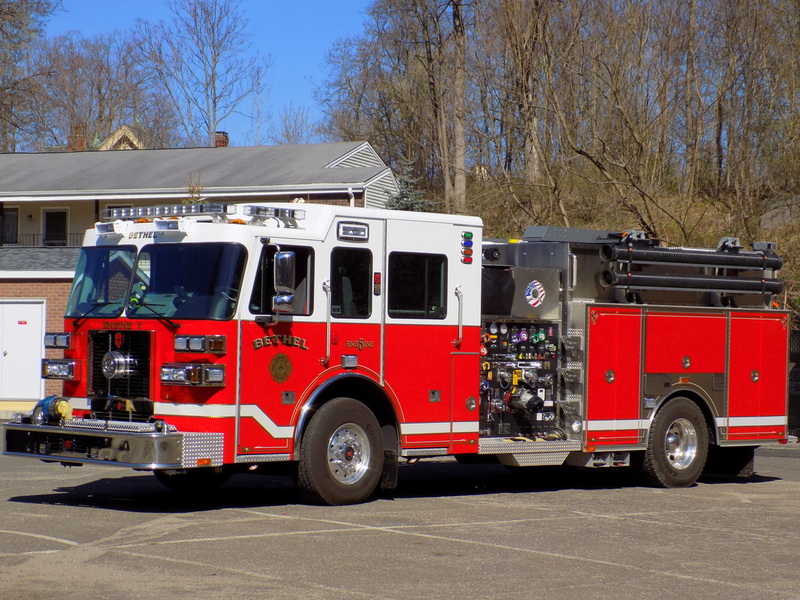 Bethel's Engine 5, a 2015 Sutphen. 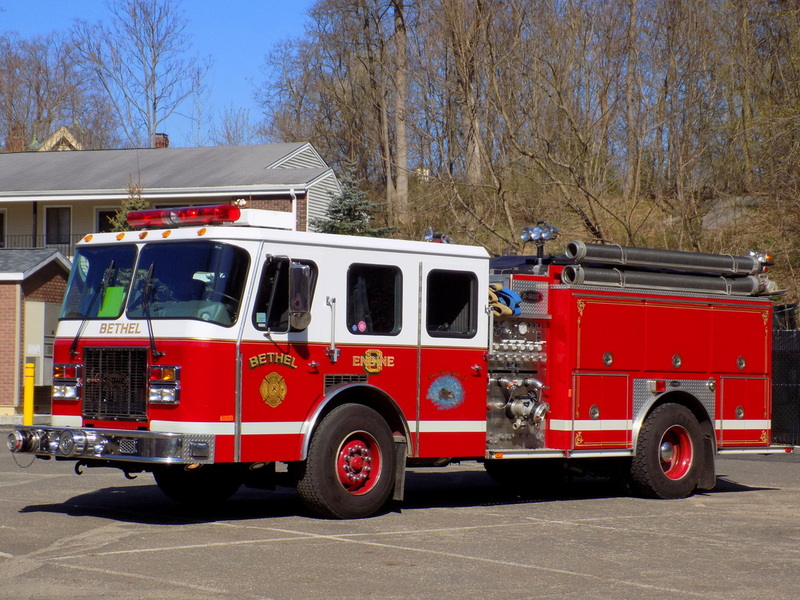 Bethel's Engine 6, a 1997 E-One. 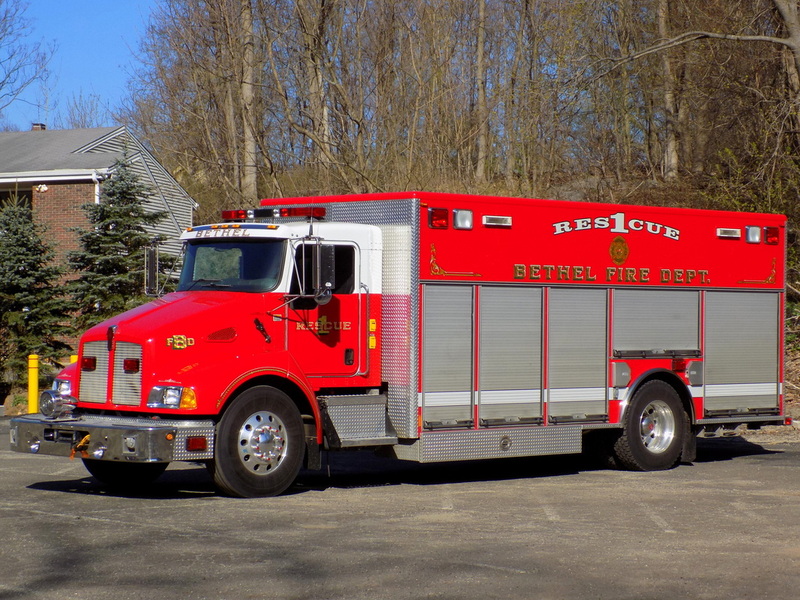 Bethel's Rescue 1, a 2003 Kenworth/Rescue 1. 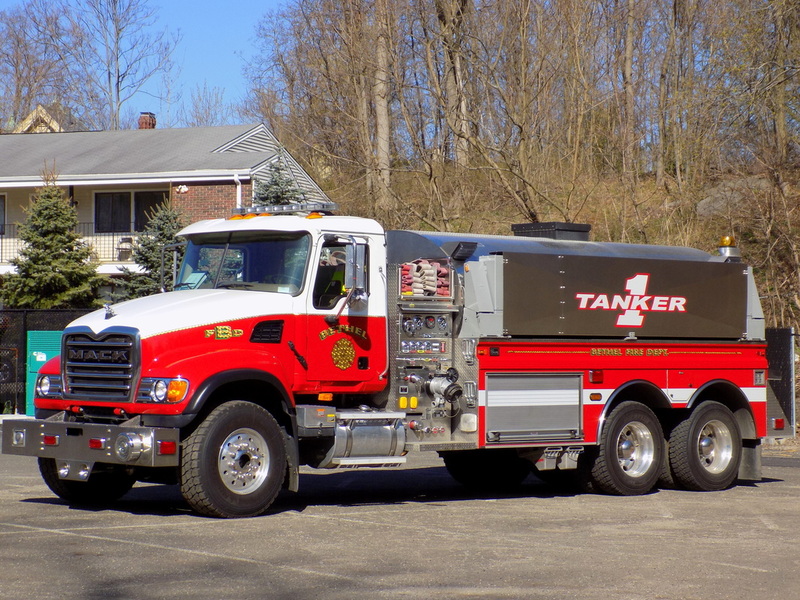 Bethel's Tanker 1, a 2005 Mack/4-Guys. 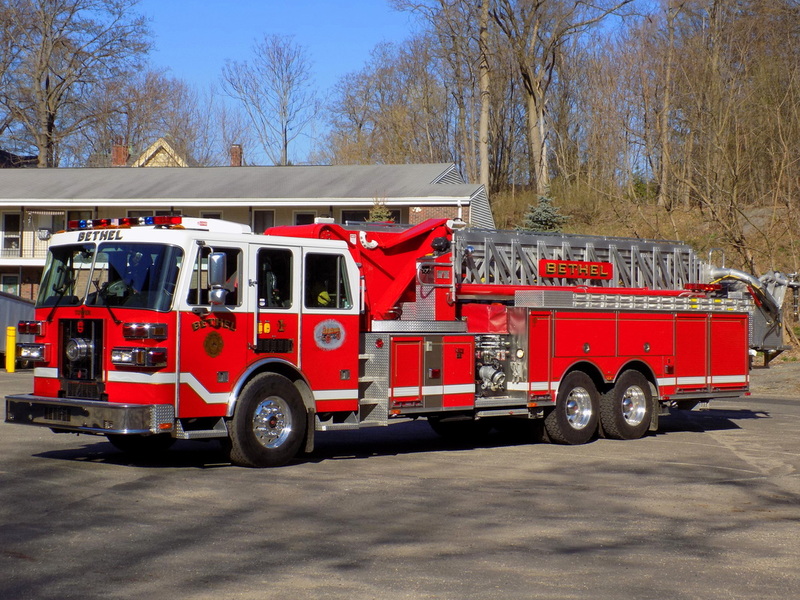 Bethel's Tower 1, a 2007 Sutphen 85FT tower ladder (bucket and boom from 1977 Sutphen).